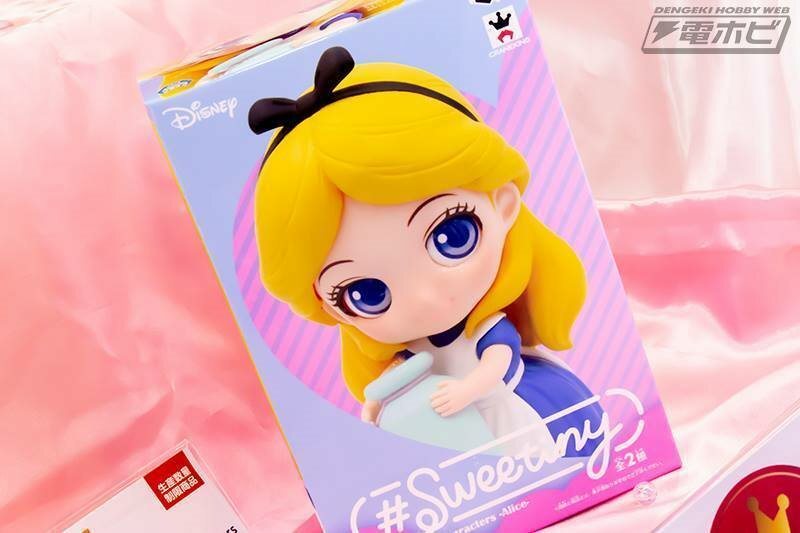 Alice of Wonderland fame inaugurates the new #Sweetiny figure series of toys from Banpresto where the blonde moppet holds a jug that's half her size. Alice measures 10cm or 3.93" in height. Two color variations are available for sale: A navy blue dress version and a pastel blue dress version.